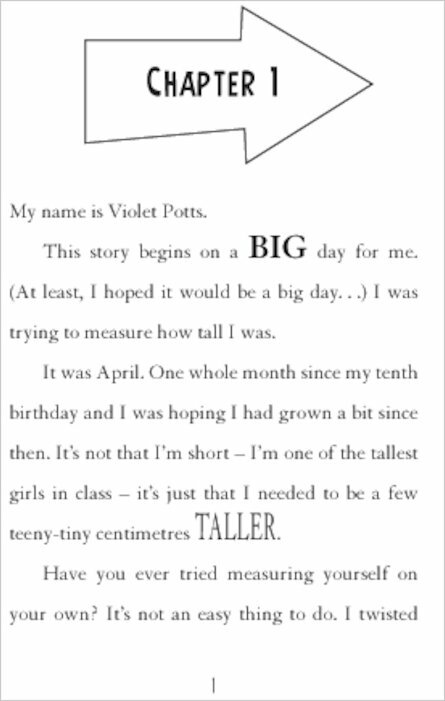 Meet a feisty girl with a habit of shrinking to fish-finger size. 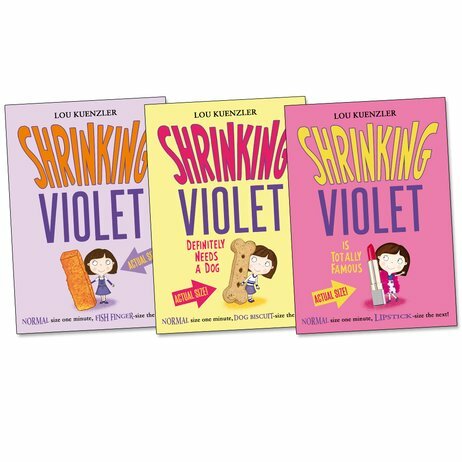 Violet is trouble… and fun! Imagine being the size of a lipstick. Or a dog biscuit. Or a teddy. That’s what it’s like being Violet. Her personality might be quite BIG, but she simply can’t stop shrinking. Usually at completely the wrong moments. 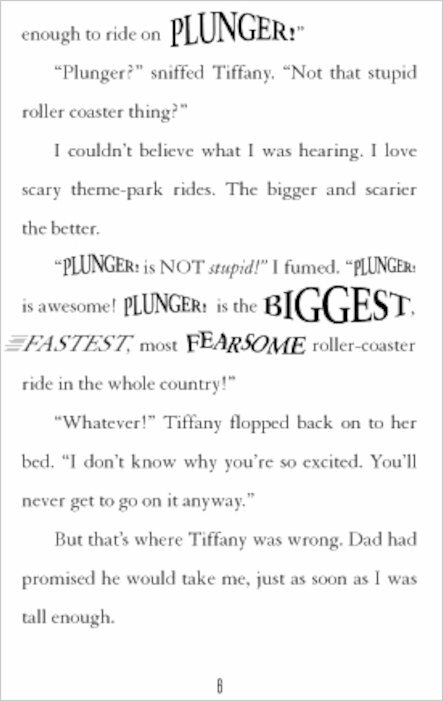 Like: on the Plunger rollercoaster (just as she’s finally grown tall enough to ride it). Or when she’s playing with a bouncy puppy. Eeek! 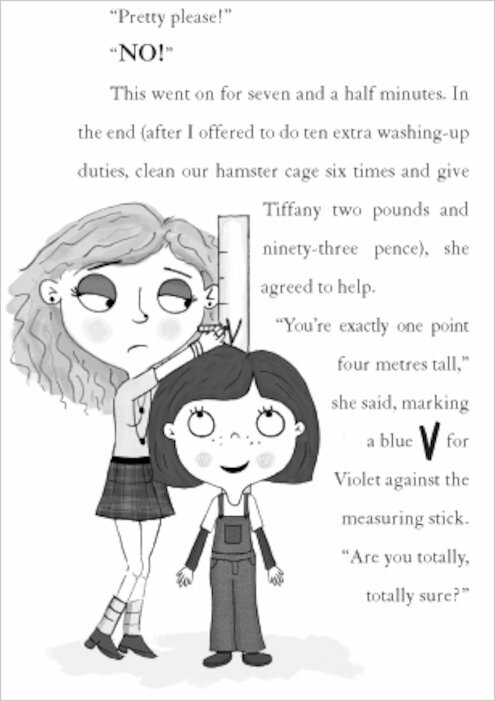 Read on if you like books as funny as Roald Dahl, as quirky as Clarice Bean and as shrink-tastic as Mrs Pepperpot. 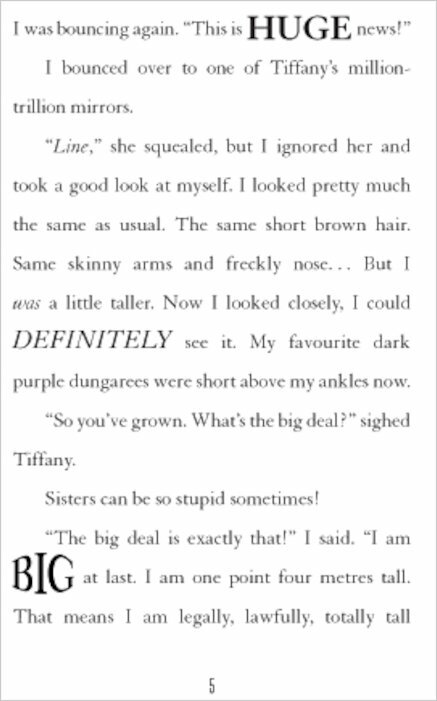 Tiny heroine: BIG LAUGHS.